‘Tis the season for mountains of packages! Tra-la-la-la….wait. Shipping boxes have pretty much become a fact of life from the period between Thanksgiving and Christmas. 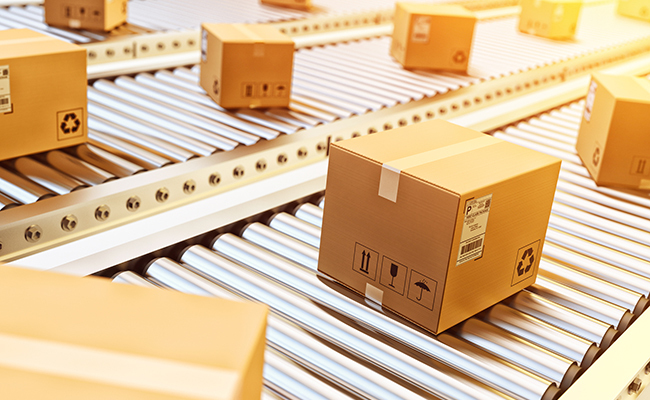 On Cyber Monday alone, Amazon shipped out 27 millions items. That is a lot of shipping boxes on a lot of front porches! In the U.S., we produce 100 billion shipping boxes per year—enough to circle the Earth 570 times. But what happens to those boxes when we’ve removed the gift? Recycling corrugated cardboard boxes is better than sending them to the landfill, but cardboard recycling still uses energy. 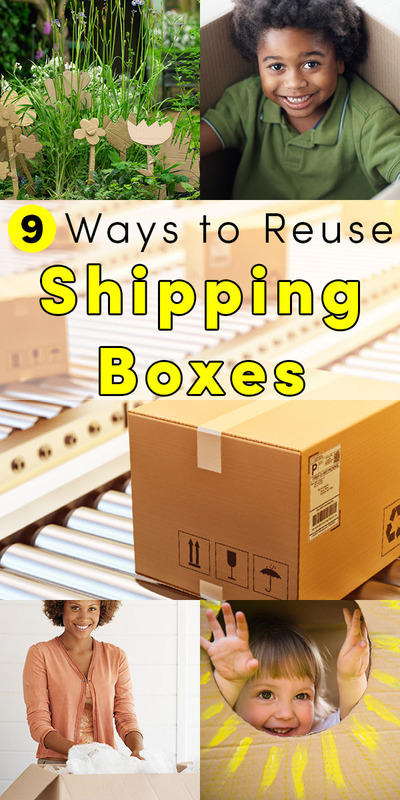 An even better solution is to find creative ways to reuse leftover shipping boxes. And I’ve got some fun ideas for you! 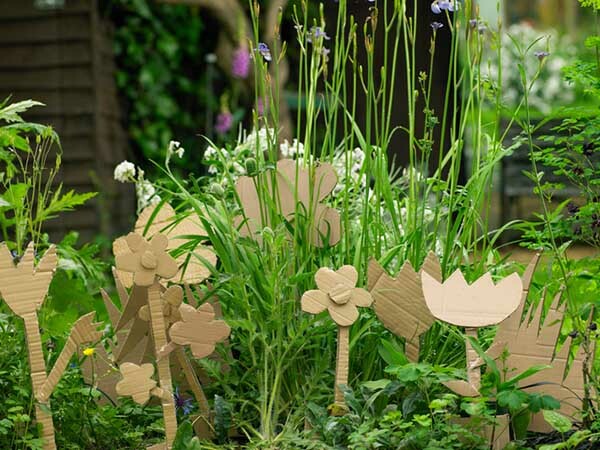 These cardboard flowers may not last, but there is a really cool and practical way to reuse leftover shipping boxes in your garden! From kid crafts to more grown-up ideas, there are lots of ways to reuse shipping boxes around your home and even in your garden. In fact, let’s start with a great garden use! I don’t mean growing basil, tomatoes and bell peppers! Lasagna gardening is a no-dig gardening technique that uses corrugated cardboard as a weed barrier. Flattened shipping boxes are the perfect first layer for the laziest garden you’ve ever planted. Read more about lasagna gardening here. 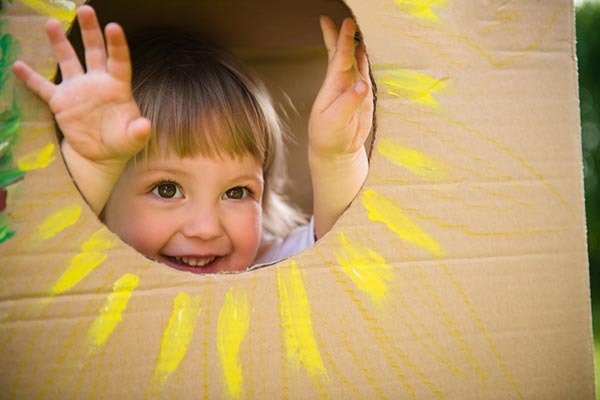 A large cardboard box, some markers or paint and a pair of scissors are all you and your kid need to create a fun little kid-sized playhouse! If you have a smaller box, your kid can use it to create a dollhouse. Older kids can cut out the doors and windows themselves, but younger children might need your help. My son isn’t quite old enough to do this part on his own, so he draws the doors and windows, and I cut them out for him. Confession: there are a lot of kid-related ideas coming up on this list. My son loves cardboard boxes. He knows we stash our flattened boxes behind the recycle bin, and I frequently see him digging through to find cardboard to craft with. This is kind of a variation on the dollhouse idea, but your kids can get even more creative. They can use anything shoebox-sized or larger to create fun dioramas. They can incorporate all kinds of mixed-media elements: marker, crayon, paint, their small toys, other kinds of paper…let their imaginations run wild! That giant box isn’t trash! It’s an airplane! Or a spaceship! Or a car! Or, if your kid loves Mister Rogers like mine, it’s Mister McFeely’s mail truck! Let your kids go to town decorating the outside and inside of their new, totally free toy. Who needs construction paper for coloring when free cardboard flows into your house all fall and winter long? If your kid loves to paint or color, use a box cutter to slice up those empties into flat rectangles. This isn’t the sexiest use, but those cardboard boxes are made for holding stuff. Use them to hold more stuff! 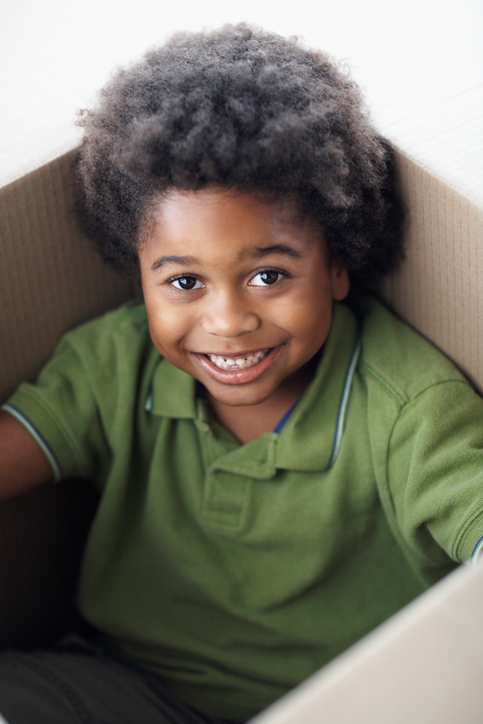 We use old cardboard boxes for functions like stashing winter clothes on a high closet shelf or storing hand-me-down clothes and toys that our kid hasn’t quite grown into yet. If you have a hot compost pile, you can add shredded cardboard to the mix. Cardboard is a great dry addition to your compost pile. Just don’t skip the shredding, because big pieces will prevent air from circulating in your bin. Amazon works with the charitable organization, Give Back Box, so you can use your empty Amazon boxes to make donations to local charities. Just enter your email address and zip code, and Give Back Box will print you a shipping label that you can use to mail in donations. If you don’t have any donations to fill your empty shipping boxes, there are some groups that accept empty boxes themselves. Check with local churches and charitable organizations. They can often use your empty boxes to store donations or move them from place to place. Do you want to raise a voice and ask Amazon to commit to reducing waste in their packaging? Sign the Care2 petition! Thanks, the grandkids love boxes! My husband is a delivery driver for a sub shop, and he needed to find a way to hold large soda cups for transport (those little cardboard holders you get from fast-food places don't work, as the cups still tend to flop). We take boxes that are 6" in height and about a foot long in length and width and cut four holes in the top to fit extra-large soda containers. Then we tape the bottom shut and my husband uses them to hold drinks on deliveries. The only snag is that too many times the other delivery driver will mistake them for holders that are given to the customers, and we end up having to make more. It works great, though-all you need is a 12" x 12" x 6" box, duct tape, a box cutter or knife, and a little bit of patience. Bigger boxes we encounter are used for storage, holding yard sale/Goodwill items, presents, and recycling, not necessarily in that order. Dana W, I second your motion. Freecycle is a great way to get rid of boxes. People frequently ask for boxes to help them move.